Jean Carlos Enrique Segura… Married, wife's name is Kellen; has three sons, Juan Diego, Giancarlo and Jacob… Signed by: Leo Perez. Freddie Freeman and Mike Trout...Became the 2nd SEA shortstop ever with at least 175 hits in a season, joining Alex Rodriguez, who had 4 such seasons (215 in 1996, 213 in 1998, 176 in 1997 and 175 in 2000)... Had a career-high 4 stolen bases, 5/15 vs TEX...Hit safely in 33 of 42 games from 5/9-6/29, batting .385 (67-174) with 23 multi-hit games... Was on the paternity leave list, 8/17-20...Ranked 9th in the majors in road AVG (.313, 51-163)... In 17 games vs OAK, hit .366 (26-71) with 10 R, 2B, 2 HR, 10 RBI. The Totals - Hit .300 (157x524) with 80 runs, 30 doubles, 2 triples, 11 home runs, 45 RBI and 22 stolen bases in 125 games with Seattle... Swinging it from Shortstop - Became the 3rd Mariners shortstop (primary position) in club history (done 6x) to bat at least .300 in a season, joining Alex Rodriguez (4x, 1996-98 and 2000) and Felix Fermin (1994)... Off to the Races - Recorded 22 stolen bases, his 5th consecutive season with at least 20 steals…is 1 of 6 players in the Majors to record 20+ steals in every season since 2013, joining Jarrod Dyson, Elvis Andrus, Jose Altuve, Jacoby Ellsbury and Starling Marte... Home is Where the Hits Are - In 61 games at Safeco Field, hit .313 (78x249) with 37 runs, 13 doubles, 1 triple, 7 home runs and 26 RBI…his .313 average at home is 11th-best in Safeco Field history by a Mariner and the highest since 2009 (Ichiro Suzuki, .376/117x311 and Franklin Gutierrez, .317/90x284)... Hitting Machine - Recorded the longest hitting streak of his career, a 17-game hitting streak, from April 30 - May 18…during the streak, hit .387 (29x75) with 16 runs, 6 doubles, 2 home runs and 11 RBI…marked the Mariners longest hitting streak of the season…also ranked T5th-longest in the Majors this season and T3rd-longest in the American League... Crushing the West - Hit .336 (82x244) with 45 runs, 15 doubles, 1 triple, 7 home runs, 27 RBI and 15 walks in 58 games vs. American League West opponents…his .336 average led all players with at least 125 plate appearances against the AL West... Leg it Out - Tallied 24 infield hits, 3rd-most in the AL (Jose Altuve, 35 and Delino DeShields, 25)... First Things First - Batted .319 (37x116) in the 1st inning…among American Leaguers with 100+ plate appearances in the 1st inning, his .319 average was 4th-best... Lead it Off - Hit .315 (35x111) as the Mariners first batter of the game... Calling All Angels - Hit .444 (12x27) at Angel Stadium, the top average among visiting players... May to Remember - In 28 games in May, hit .358 (43x120) with 18 runs, 7 doubles, 2 home runs, 12 RBI, 10 walks, a .417 on-base percentage and a .467 slugging mark… among AL leaders in the month of May, ranked 2nd in hits (43) and 5th in batting (.358)... At the Break - At the All-Star Break, was batting .349 (89x255), which led all American Leaguers with at least 270 plate appearances…was 6 PA shy of officially qualifying for the batting title at the break (had 273 PA, needed 279 PA)…hit .253 (68x269) in the 2nd half... DL Stints - On the 10-day disabled list, April 10 - 25, with a strained right hamstring… included a rehab assignment with AA Arkansas…on the 10-day disabled list, June 2 - 21, with a right high ankle sprain…included a rehab assignment with AAA Tacoma. The Totals - Hit .319 (203x637) with 102 runs, 41 doubles, 7 triples, 20 home runs, 64 RBI and 33 stolen bases in 153 games with Arizona...Leading the Way - Led the National League in hits (203) and at-bats (637)…also ranked T4th in infield hits (27), 5th in average (.319), T5th in doubles (41) and stolen bases (33), 6th in total bases (318),T7th in runs(102) and T8th in triples (7)... Things That Come in Three's - Tallied 24 games with 3 or more hits, the most in MLB...Having a Record Year - Became one of 8 players in Major League history to record a season with a .300+ batting average, 100+ runs, 200+ hits, 40+ doubles, 20+ home runs and 30+ stolen bases (also: Jose Altuve-HOU: 2016, Craig Biggio-HOU: 1998, Ellis Burks-COL: 1996, Jacoby Ellsbury-BOS: 2011, Hanley Ramirez-FLA: 2007, Alfonso Soriano-NYY: 2002 and Larry Walker-COL: 1997)...This is WAR - Posted a 7.0 WAR (STATS LLC), 2nd-highest in the National League, trailing only Chicago-NL's Kris Bryant (8.3)…marked the best WAR by a National League 2nd baseman since Philadelphia's Chase Utely in 2009 (7.4)... Leading Off - Batted leadoff in 147 games, most in the National League…among NL leadoff hitters, ranked 1st in hits (198) and times on base (248), T1st in triples (7), 2nd in total bases (310), T2nd in home runs (20), 3rd in RBI (63), 4th in slugging (.499), 5th in average (.319) and 8th in OBP (.368)…also hit 8 leadoff home runs, T2nd-most in MLB (also: Ian Kinsler-DET & George Springer-HOU), trailing Colorado's Charlie Blackmon (10)... Career Year - Set single-season career-highs in games (153), batting (.319), runs (102), hits (203), doubles (41), home runs (20), RBI (64), walks (39), OBP (.368), slugging percentage (.499), OPS (.867), total bases (318), extra-base hits (68) & game-winning RBI (6)...Infield Pop - Recorded 4 multi-home run games, T4th-most by an infielder last season (also: Kris Bryant-CHI, Chris Carter-MIL, Josh Donaldson-TOR, Anthony Rizzo-CHI, Corey Seager-LAD & Trevor Story-COL)…trailed only Detroit's Miguel Cabrera (6), Robinson Cano (5) and Colorado's Nolan Arenado (5)…posted 1 multi-homer game in his previous 4 Major League seasons... Getting Defensive - Appeared in 142 games (133 starts) at 2nd base and 23 games (17 starts) at shortstop…posted a .985 fielding percentage (679 total chances, 10 errors)...Exist to Assist - Led all National League infielders in assists with 428. Hit .257 (144-for-560) with six home runs, a career-high 50 RBI and 25 stolen bases in 142 games for the Brewers...Led the team and ranked seventh in the NL in stolen bases (25)...was his third consecutive season of at least 20 steals...Became just the sixth player in Brewers history to produce at least three seasons of 20+ stolen bases, joining Tommy Harper, Paul Molitor, Mike Felder, Ryan Braun and Carlos Gomez...Was on the 15-day disabled list from May 14-28 with a fractured right pinky...suffered the injury while sliding into third base on May 12 vs. White Sox. Batted .294 with 12 HR, 49 RBI and 44 stolen bases in 146 games during his first full season in the Major Leagues...Made 143 starts, all at shortstop...Was named to his first career Opening Day roster...Missed 10 of the team's final 11 games of the season with a strained right hamstring...Ranked among the National League leaders in stolen bases (2nd, 44), triples (T2nd, 10) and hits (8th, 173)...Was the team leader in batting average (.294), hits (173) and stolen bases (44) while tying Carlos Gomez for the team lead in triples (10)...Led the Major Leagues with a franchise-record 44 infield hits...Was selected to his first All-Star Game.....became the fourth All-Star shortstop in franchise history, joining Robin Yount (1980, '82-83), Jose Hernandez (2002) and J.J. Hardy (2007).....went 0-for-1 in the All-Star Game as he played four innings at shortstop.....grounded out off the Yankees' Mariano Rivera...Voted Brewers Player of the Month for April (.367, 3hr, 9rbi, 7sb) and May (.345, 5hr, 13rbi, 8sb)...Named National League Player of the Week for 5/6-5/12 after he batted .500 (10-for-20) with 2 HR, 2 RBI and 5 runs in 5 games...Belted his first Major League home run on 4/5 vs. Arizona with a solo shot off Wade Miley...Tied the franchise record with 6 hits, all singles, on 5/28 vs. Minnesota, going 6-for-7 with 2R and 1 RBI.....tied the mark shared by Johnny Briggs (1973) and Kevin Reimer (1993). Entered the season as the second-best prospect in the Angels organization according to Baseball America. Began the season at Double-A Arkansas, where he batted .294 with 7 HR, 40 RBI and 33 stolen bases in 94 game. Was a Texas League All-Star and All-Star Futures Game selection. Was among the Texas League leaders in stolen bases (4th, 33) and batting average (9th, .294). Was recalled by LA of Anaheim on 7/22. Made his Major League debut on 7/24 vs. Kansas City, starting at shortstop and going 0-for-3 with 2 strikeouts in his only game with the Angels. Was traded to Milwaukee, along with RHP Johnny Hellweg and RHP Ariel Pena, in exchange for RHP Zack Greinke on 7/27. Joined Double-A Huntsville, where he batted .433 with 4 RBI and 4 stolen bases in 8 games. Was recalled by Milwaukee on 8/6, taking the roster spot of INF Cesar Izturis, who was claimed off waivers by Washington. Batted .264 with 0 HR, 14 RBI and 7 stolen bases in 44 games with the Brewers. Made 43 starts with Milwaukee, all at shortstop. Batted .329 (23-for-70, 7rbi) over his last 22 games. Made his Brewers debut in a start on 8/6 vs. Cincinnati, going 0-for-4 with 2 strikeouts. Recorded his ﬁrst Major League hit with an inﬁeld single off Mat Latos on 8/8 vs. Cincinnati. Played for Cibao in the Dominican Winter League, where he won the batting title as he batted .324 (48-for-148) with 2 HR, 21 RBI and 11 stolen bases in 35 games. Named Angels' second best prospect for 2012 by Baseball America...Limited to 44 games in first season atsingle-A Inland Empire with a strained left hamstring that sidelined him for three months (suffered injury inlate May)...Entered 2011 as Angels' #3 prospect by Baseball America and #57 overall in minor leagues...Madetransition from second base to shortstop...With 66ers, batted .281 (52/185) with 26 runs, nine doubles, fourtriples, three home runs and 21 RBI...Also stole 18 bases (6 CS)...Spent time on rehab with Arizona LeagueAngels hitting .367 (11/30) with four doubles, one HR and five RBI in eight games...Was a non-roster inviteeto Angels Spring Training. In 2010, put together yet another solid campaign in first season with single-A Cedar Rapids...Led MidwestLeague with 161 hits and 50 stolen bases...Named to the Midwest League Western Division All-Star team...Slugged .464 as he posted 24 doubles, 12 triples, 10 HRs and 79 RBI...Batted .313 to rank T10th in the circuitand his 89 runs ranked T4th in the league...Had 15 three-hit games and one four-hit effort...Batted .342 withRISP and .360 with RISP and two outs...Hit .353 from the leadoff spot. In 2009, started season at triple-A Salt Lake where the Bees were in need of a middle infielder to start theseason...Appeared seven games with Bees and batted .421 (8/19) with two doubles and two RBI...Solid seasonwith Orem was cut short due to a broken finger on his right hand suffered while sliding into second base inearly August...In 36 games with Owlz, he batted .346 (56/162) with 33 runs, 10 doubles, four triples, threehome runs and 21 RBI...Also stole 11 bases in 14 attempts...Put together a 22-game hit streak (July 4-29) andhit safely in 30 of first 32 games of season...Had a five hit game July 19 at Great Falls. In 2008, appeared in just 11 games with the Arizona League Angels...Placed on 60-day D.L. July 6 aftersuffering a fractured left leg. In 2007, had successful professional debut with the Dominican Summer League Angels...In 61 games, hebatted .324 (71/219) with 39 runs, 71 hits, five doubles, two triples, two home runs and 31 RBI...Stole 22bases in 28 attempts...Signed as a non-drafted free agent January 22, 2007. 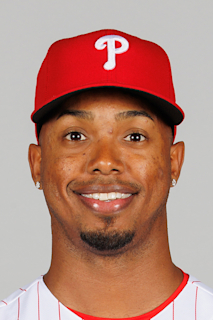 April 20, 2019 Philadelphia Phillies placed SS Jean Segura on the 10-day injured list retroactive to April 17, 2019. Left hamstring strain. August 20, 2018 Seattle Mariners activated SS Jean Segura from the paternity list. August 17, 2018 Seattle Mariners placed SS Jean Segura on the paternity list. June 21, 2017 Seattle Mariners activated SS Jean Segura from the 10-day disabled list. June 19, 2017 Seattle Mariners sent SS Jean Segura on a rehab assignment to Tacoma Rainiers. June 2, 2017 Seattle Mariners placed SS Jean Segura on the 10-day disabled list. Right high ankle sprain. April 25, 2017 Seattle Mariners activated SS Jean Segura from the 10-day disabled list. April 21, 2017 Seattle Mariners sent SS Jean Segura on a rehab assignment to Arkansas Travelers. April 11, 2017 Seattle Mariners placed SS Jean Segura on the 10-day disabled list. Strained right hamstring. May 29, 2015 Milwaukee Brewers activated SS Jean Segura from the 15-day disabled list. December 27, 2014 SS Jean Segura assigned to Gigantes del Cibao. July 18, 2014 Milwaukee Brewers activated SS Jean Segura from the bereavement list. July 12, 2014 Milwaukee Brewers placed SS Jean Segura on the bereavement list. July 12, 2014 Milwaukee Brewers activated SS Jean Segura. August 6, 2012 Milwaukee Brewers recalled Jean Segura from Huntsville Stars. August 6, 2012 Milwaukee Brewers activated SS Jean Segura. July 27, 2012 Milwaukee Brewers optioned Jean Segura to Huntsville Stars. July 22, 2012 Los Angeles Angels recalled Jean Segura from Arkansas Travelers. March 19, 2012 Los Angeles Angels optioned Jean Segura to Arkansas Travelers. November 22, 2011 SS Jean Segura assigned to Gigantes del Cibao. November 18, 2011 Los Angeles Angels selected the contract of Jean Segura from Inland Empire 66ers. August 30, 2011 Jean Segura roster status changed by Inland Empire 66ers. August 20, 2011 sent SS Jean Segura on a rehab assignment to AZL Angels. May 19, 2011 Inland Empire 66ers activated SS Jean Segura from the 7-day disabled list. May 12, 2011 Inland Empire 66ers placed SS Jean Segura on the 7-day disabled list. Strained left hamstring. April 5, 2011 SS Jean Segura assigned to Inland Empire 66ers from Cedar Rapids Kernels. January 28, 2011 Los Angeles Angels invited non-roster 2B Jean Segura to spring training. October 22, 2010 2B Jean Segura assigned to Gigantes del Cibao. April 5, 2010 Jean Segura assigned to Cedar Rapids Kernels from Orem Owlz. March 29, 2010 2B Jean Segura assigned to Los Angeles Angels. June 19, 2009 Jean Segura assigned to Orem Owlz from Salt Lake Bees. May 29, 2009 Jean Segura assigned to Salt Lake Bees from AZL Angels.